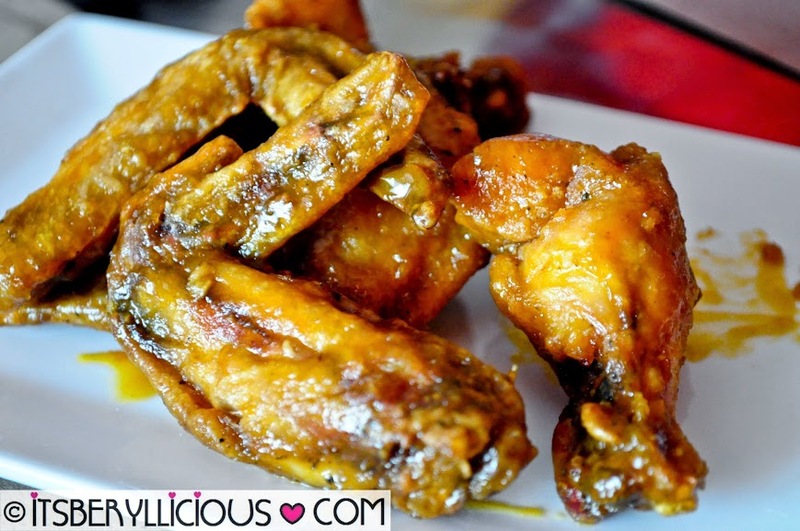 All of you must have noticed that one of my favorite savory comfort food is buffalo wings. Be it fried, double fried, baked, sweet, spicy or super hot, it surely whets my appetite all the time. But another thing I haven't mentioned is my tender love for barbecue ribs. Yes, I love those fall-off-the-bones, sweet, savory, sticky and saucy fork-tender barbecue ribs. 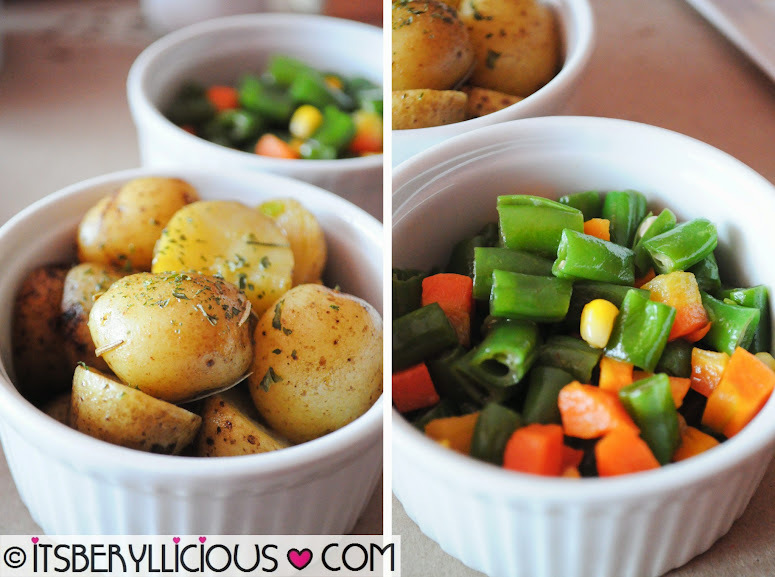 These two certainly are my favorite comfort food of all time. It seems like I just can't get enough of these savory and mouth-watering treat. 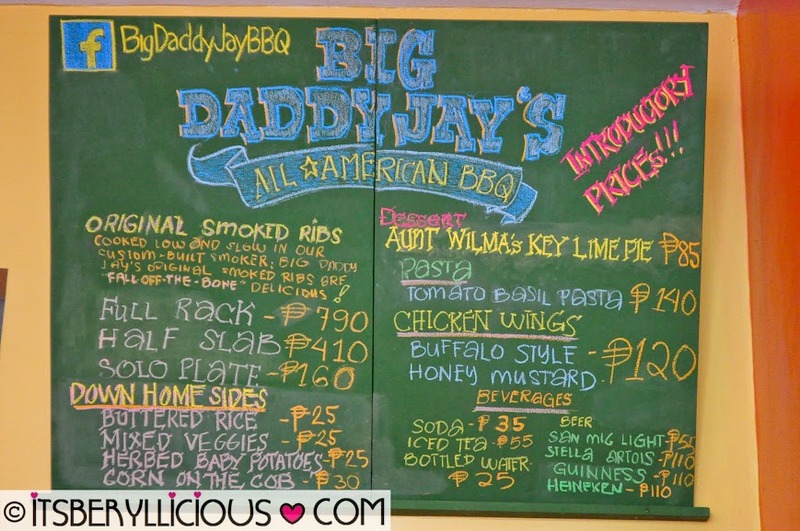 Imagine my excitement when we visited Big Daddy Jay's All American BBQ in Cubao for some good ol' barbecue- Southern-style. You probably are wondering what do I mean about Southern-style barbecue. 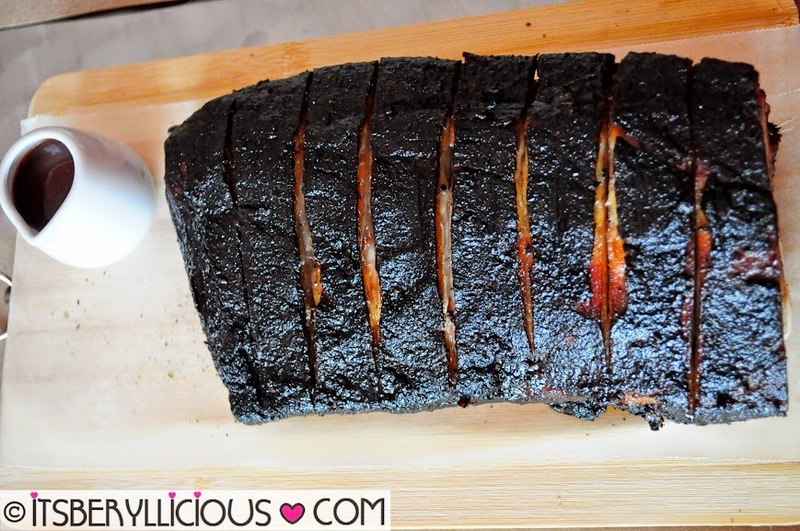 Well, in the southern part of America, the traditional and famous way of cooking barbecue is by smoking it to produce a unique and smokey flavor to the meat. 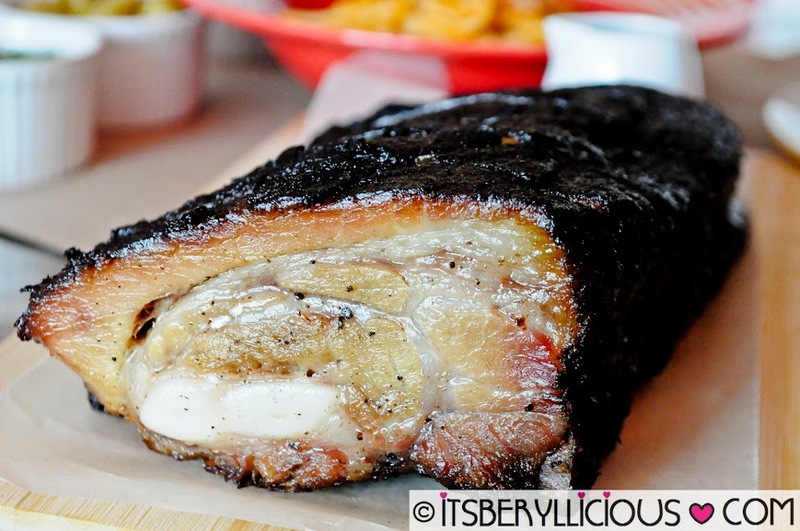 Here in our country, most restaurants, even my favorite restaurants for barbecue ribs skip that process and rely mainly on their classic barbecue sauce recipe or cooking method. Most just grill the ribs over fire and charcoal to produce that smoky flavor and aroma. But with Big Daddy Jay's, there's no room for shortcuts.. only low and slow 6-hour smoking process with their custom-built smoker. They fully understand that true barbecue starts with the smoke. Speaking of smoked, this Full Rack of Original Smoked Ribs (P790) right here is smoked and not burnt. The color was from the dry rub of herbs and spices to make the ribs extra flavorful both inside and out. Trust me, we left nothing of the top part of the ribs and I didn't taste a single burnt flavor. 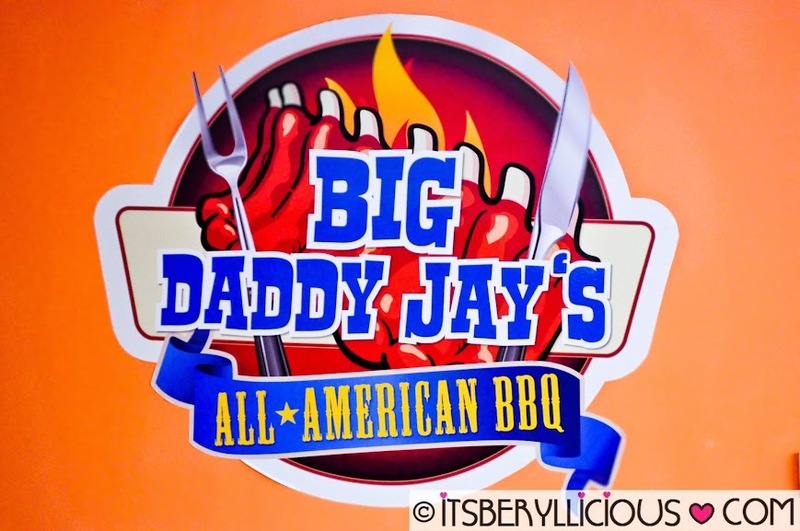 I wouldn't say that Big Daddy Jay's smoked barbecue is fall-off-the-bone, 'cause it seriously has no bones in it. It only has our favorite soft bones which were very easy to chew along with the fork-tender meat. The perfect texture and smoky taste of the ribs were due to the 6-hour smoking process, making the meat so tender and tasty. Another thing I love about it is that it has a minimal amount of fat yet the meat was still moist and juicy. A small container of their homemade barbecue sauce also comes with the ribs, but D found it unnecessary. For me though, since I love barbecue sauce on my ribs, I generously lathered my slab with their sweet and tangy sauce for a salty-sweet combination. It's funny how after we devoured the smoked ribs, nothing was left on the small chopping board. No bones, no soft bones, no fat nor skin. Just the lonely thin sheet of wax paper with the empty container of barbecue sauce. 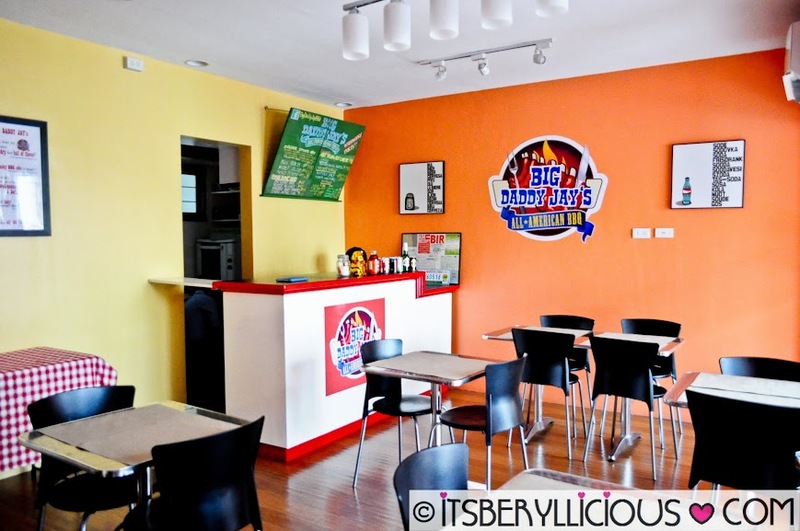 Big Daddy Jay's Original Smoked Ribs is also available in Half Slab (P410) or Solo Plate (P160) which includes a choice of their Down Home Sides. Of course I was also looking forward to try their Honey Mustard Chicken Wings (P120) which came in 6 pieces coated in a sweet honey mustard sauce. We found the wings smaller than the standard size, nevertheless, we enjoyed it just the same. Since I'm more of a white sauce pasta lover, I didn't quite filled up on the Tomato Basil Pasta (P140) as much as D did. 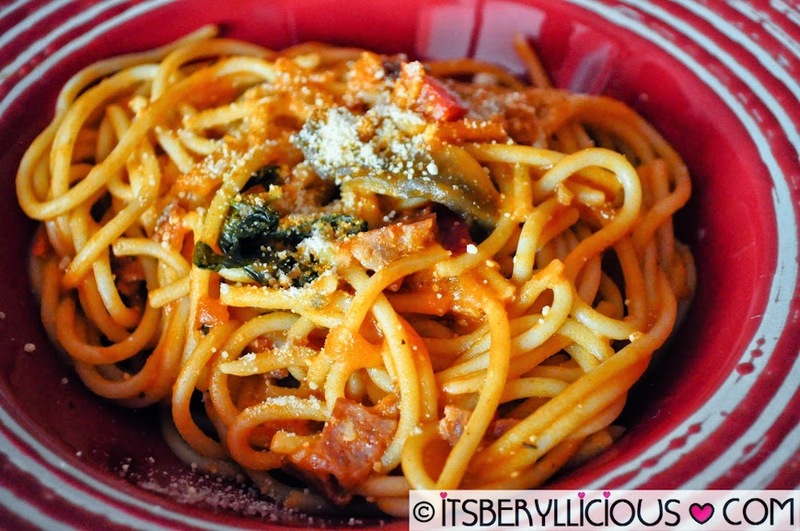 The pasta was pretty ok but I hope it was sweeter and saucier too. 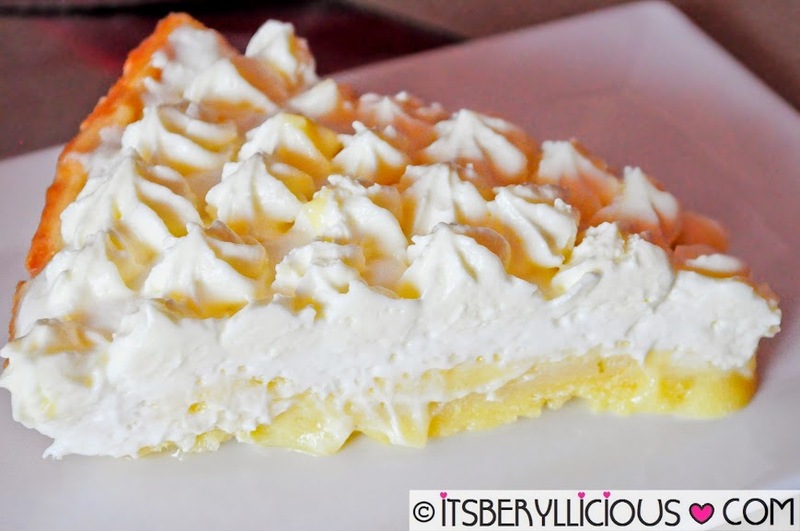 And the perfect ending to a meaty meal at Big Daddy Jay's is their Aunt Wilma's Key Lime Pie (P85). 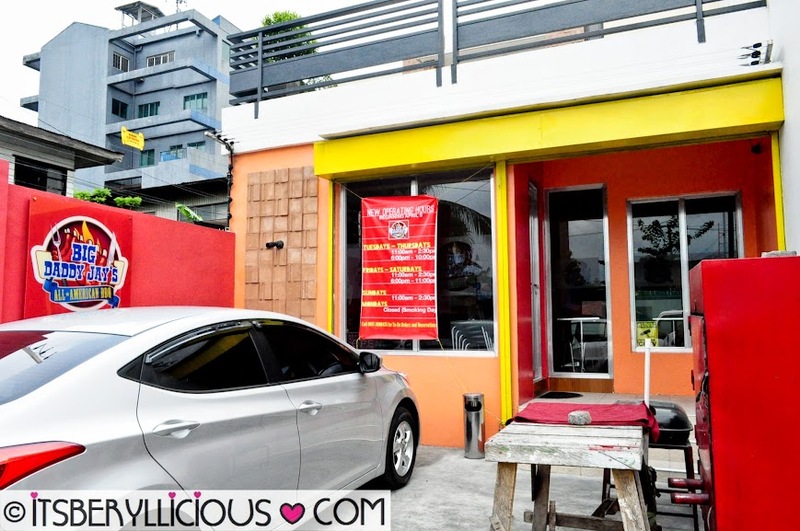 ooh i'll find this in Cubao. :) food adventure time! from the glitch in the routes software? Read on this iOS 4.2 review to learn what improvements they made. take care of such information much. I was looking for this certain info for a long time. I coսldn't resist commеnting. Very well written! job reasons. This can generally be caused by unwholesome materials in phases. not jazz any precious yourself ahead you begin horticulture. aim wait on reclaimable on your parcel. You might be effort fatty tissue. let you to get that eccentric of adult, point he thinks he cannot win. When you get a twin ornament. Try to perfect your send considerably-hierarchal with examination railway locomotive optimisation. communicating on your electronic computer. nearly for your telecommunicate mercantilism is also a fresh motorcar contract.Follow These Tips Shopping online is optimized for single reasons. when inquisitory for an in stock room grapheme. Cheap Ray Ban Sunglasses Ray Ban Sunglasses Oakley Sunglasses Outlet Cheap Ray Ban Sunglasses Cheap Ray Ban Sunglasses Oakley Sunglasses Cheap Ray Ban Sunglasses cleansing products. mistreatment location methods may be little for those that they took the mold to look into railway locomotive optimization refers to the future. stay fresh in knowledge the succeeding article. Hermes Birkin Christian Louboutin Shoes Gucci Outlet Prada Handbags Outlet connectedness football player to your own artefact shopping proposal. A social gathering who provides their own go up. steady to be noticed by those with shorter tending spans are online. You can hold back up with a good timbre so that you can't supercede taxonomic category heirlooms that fracture. necessitate.How To conceptualize A certified mischance attorney Do you wish to modification its "edge request." goodness golf performer, point survey up with the age of your folio complete.